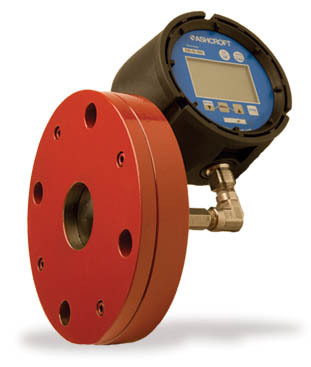 Red Valve’s Series 45 Pressure Sensor with digital read out is especially designed for tank level control and indication. The Series 45 flange is available in the size of any existing blind flange outlet (2″ through 12″), making it ideal for direct mounting to existing flange outlets on storage tanks. It is ideal for storage tanks, for handling raw sewage, paper stock, oil, storm water, chemicals, etc., because it is non-clogging. Digital instrumentation allows the operator to remotely read tank level, control pump level and fill tanks fully without spillage, thus increasing the total storage holding capacity of a tank or a series of tanks. Digital accuracy brings a new level of control for tank level, both direct and remote. It permits digital input to your PLC, computer or systems controller.